Have your fifth grader learn when a clause is an interrupter with this fun and interactive activity that tests them on their knowledge of clauses rather than that of punctuation. Is your student up to the challenge? This grammar sheet will quiz your child on his knowledge of commas. Commas serve so many uses in our written language, and learning their vast possibilities helps fifth graders in their essay writing and beyond. 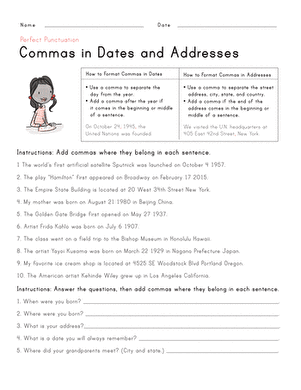 Help your third grader hone her punctuation skills with this worksheet that explains how to use commas in dates and addresses. Find out with this grammar worksheet, all about commas and conjunctions! 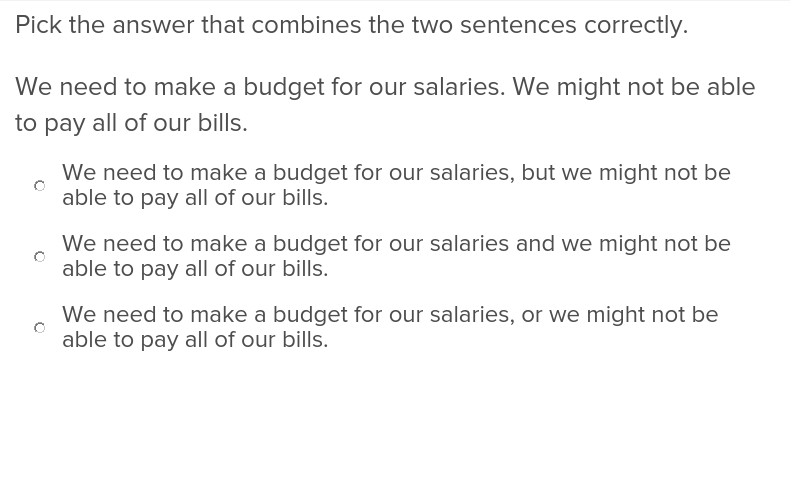 With this exercise, students will learn some of the most common ways to use a comma. Making inferences using visual clues takes practise! Use this worksheet to help analyze visual elements. Kids practise commas and ending punctuation with this worksheet. Include proper address form in your unit on letter writing to help your fifth graders learn how to be clear as they describe various locations for use personally and professionally. Have your students practise their sentence combining skills with these exercises that give them visuals and helpful hints. When writing dialogue, it's important to know where to place quotation marks and other punctuation. Get some practise with this passage from The Secret Garden. Your fifth graders will love these exercises that have them identify introductory phrases and pick the appropriate punctuation mark.